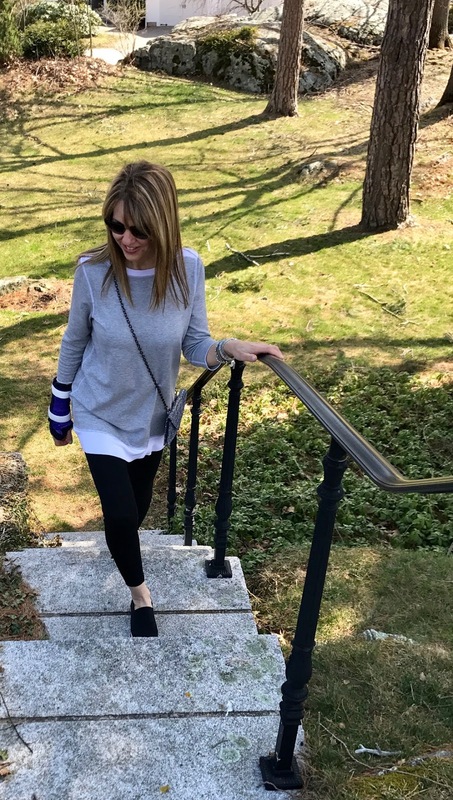 This is the LAST blog where you'll see a cast on my right arm, because it's finally off! It's been a rough few months (brutal for fashion) but I'm now back in action. Richard and I went to Portsmouth, NH last weekend--a gorgeous seacoast town. Since we were doing a lot of walking, I wore leggings and this fabulous tunic from Lynn Ritchie (which just happens to be reversible!). 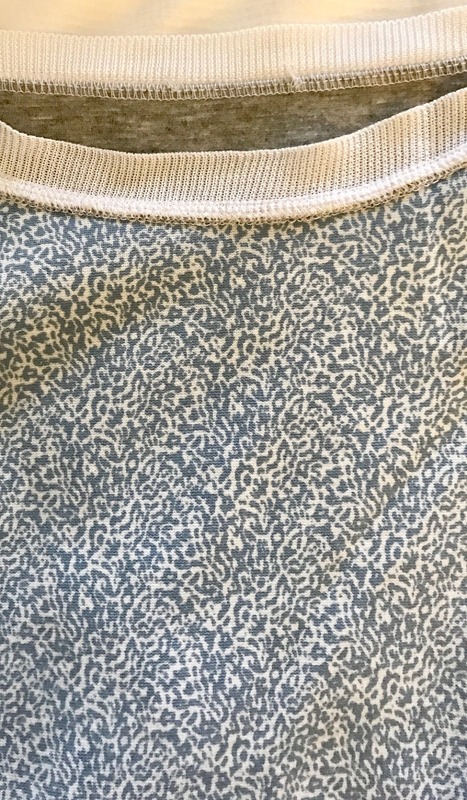 This is the other side of the tunic. 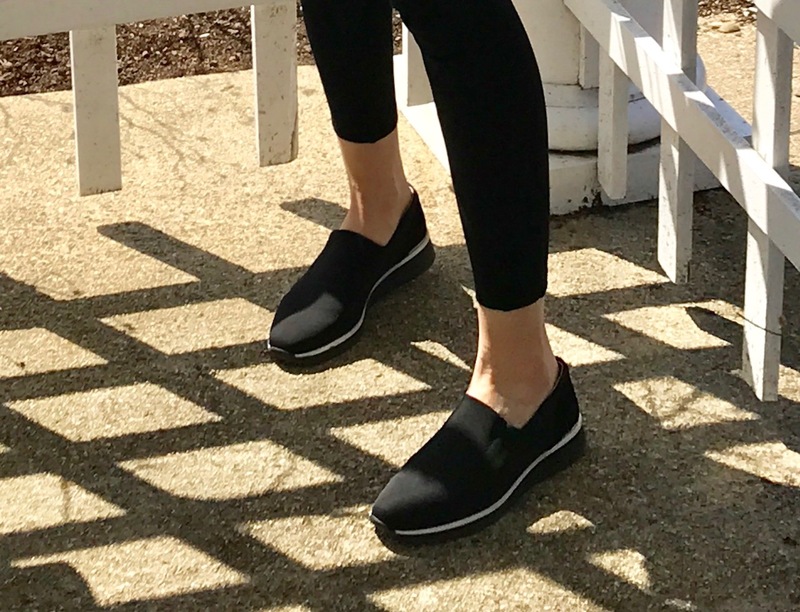 In leu of sneakers, I chose these fabulous slip-ons by Louise et Cie from Sole Amour, a "Shoetique". These shoes are SO comfortable, but they're also super cute. 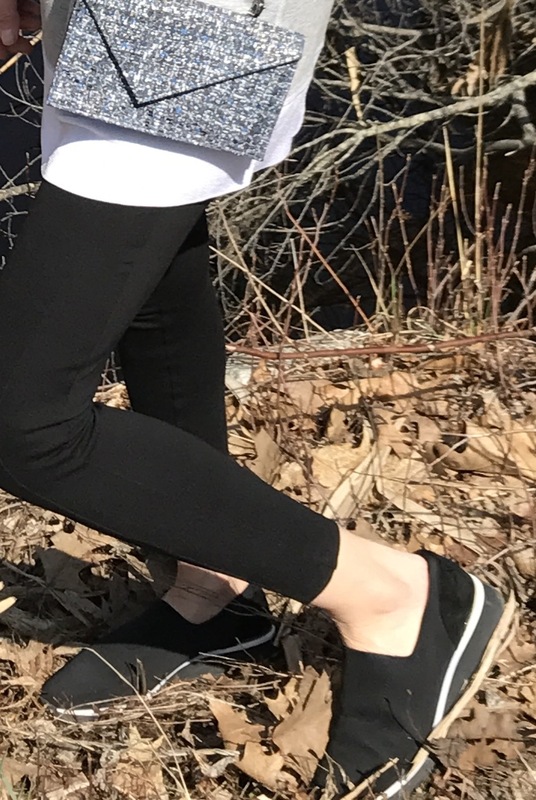 I've been wearing them constantly with leggings and jeans...even with casual dresses. Here are some similar styles also by Louse et Cie HERE and HERE. I adore this tweed "hiptini" from Beltini Santa Monica. This little bag is so lightweight and has just enough space for my phone, money/credit cards and a lipstick...perfect for long walks or shopping excursions. It's also a wonderful travel bag since it converts to a clutch, shoulder bag and event attaches to a belt! Get 20% off with code Susan20 (good until May 31st--great Mother's Day gift!). I layered my Michele watch with a few stretchy beaded bracelets--similar HERE (under $15!). We came across this beautiful marsh that looked like a painting. Taking a moment to reflect--nature has a way of keeping me "in the moment". Photos taken by the hubster. The Hiptini and Lynn Ritchie tunic were gifted, .however, the content of my posts are based on my own honest opinions and are not in any way influenced by partnerships.